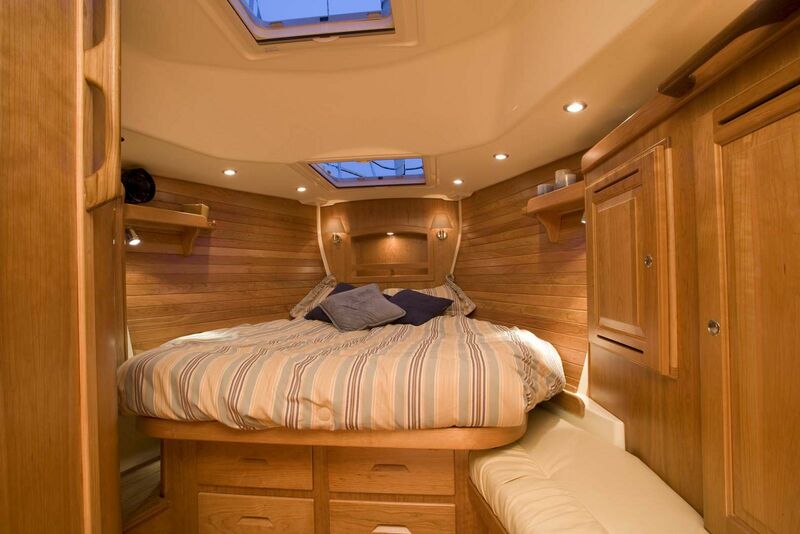 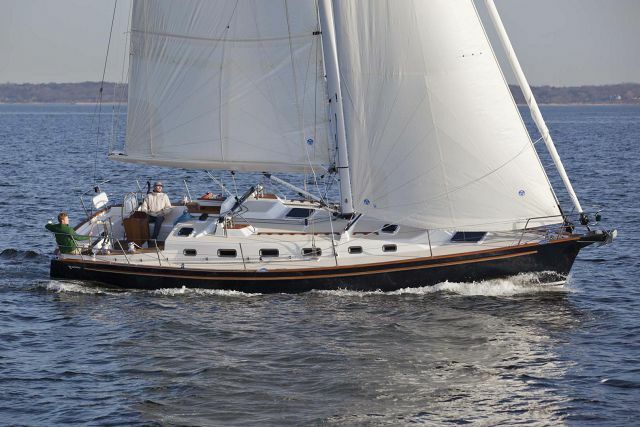 Continuing with the Tartan Yachts methods of construction and design, the 4300 Sailboat is no exception to their rules. 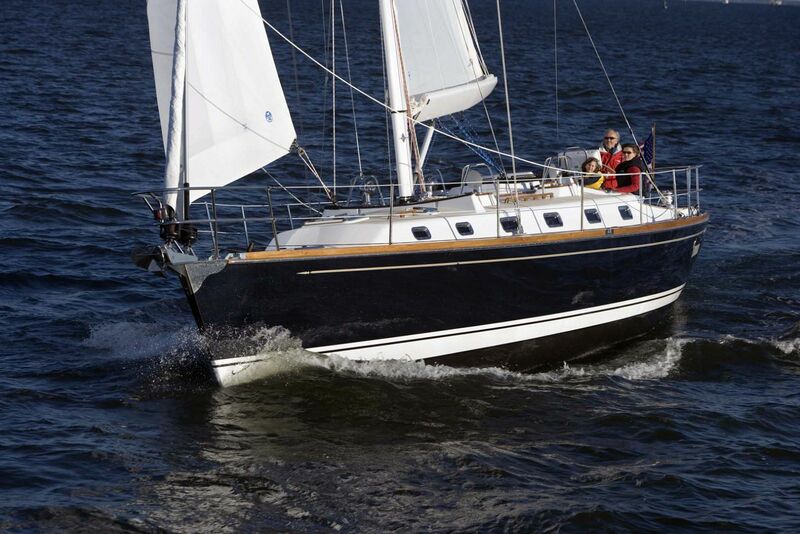 The Tartan 4300 has the classic styling, marked by its shear, of the popular Tartan sailboats of the past, but the quality of materials used and innovative techniques have resulted in a very modern built sailboat. 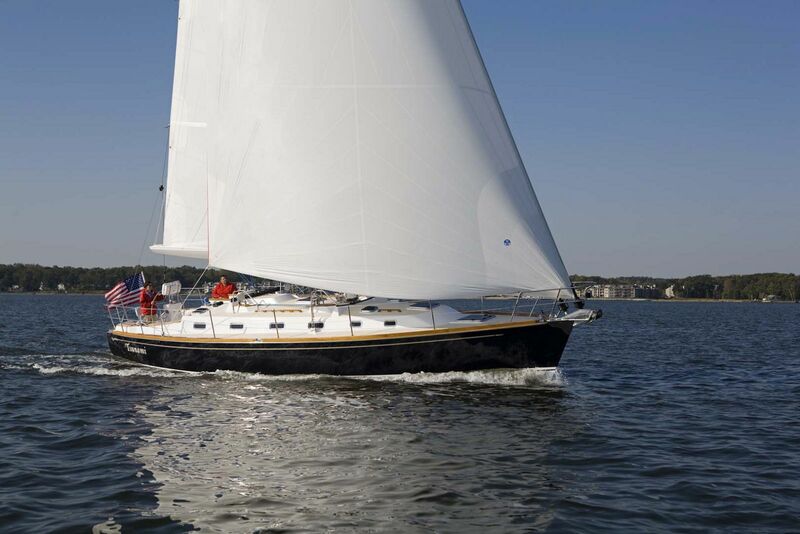 The mast is entirely carbon fiber, a standard feature. 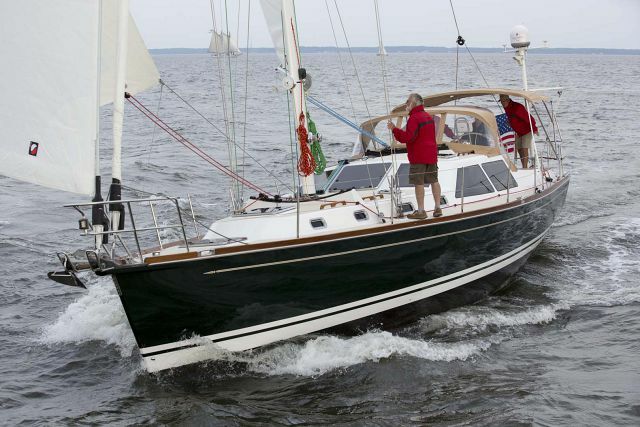 The hull uses an infused epoxy laminate provides a strong, flexible, light, and durable hull. 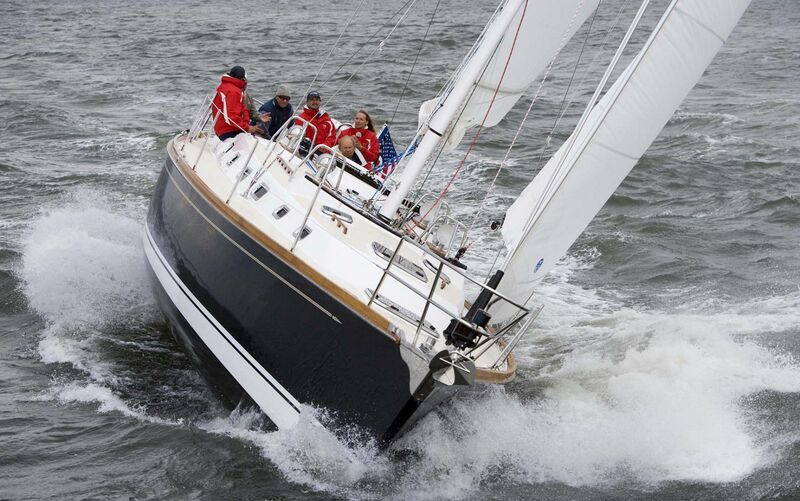 The carbon fiber "Pocket Boom" contains the main and a self-tacking job which makes sailing the Tartan 4300 easy for owners that might be a little shorthanded. 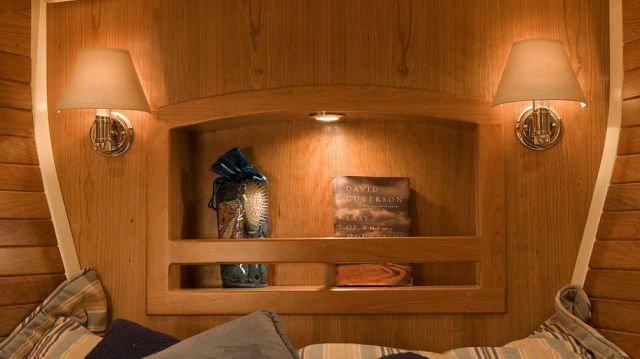 The hull design of the 4300 continues the Tartan trend of long waterline, slippery entry forward, full and flat aft quarters and carefully sculpted and balanced volume to produce a yacht that is easily driven and powerful for maximum performance. 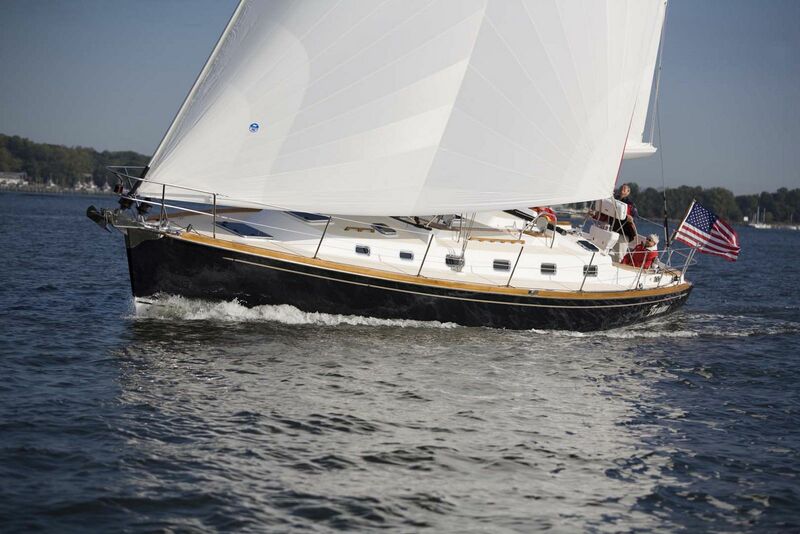 Her long waterline length relative to overall length provides a high theoretical hull speed and the full aft sections allow the 4300 to surf and extend her sailing and motoring length to provide fast and exhilarating passage making. 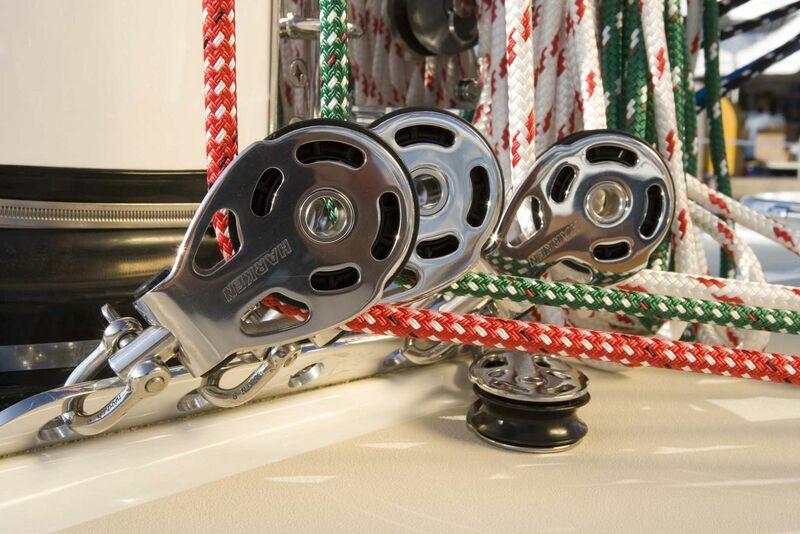 By maintaining balanced volume in the hull, the 4300 heals predictably and evenly, unlike many extreme designs that develop bad manners under difficult conditions. 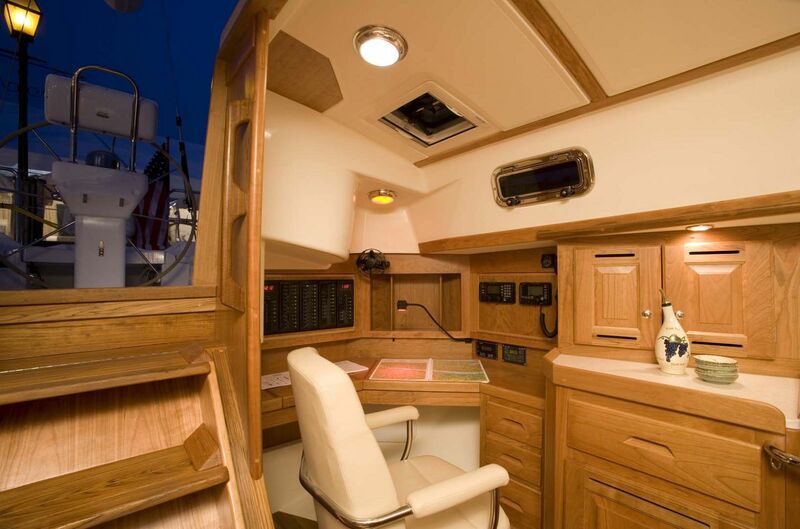 Through optimized hull design, the 4300 will extend your daily range and expand the possibilities for weekend cruising or long daily passages offshore. 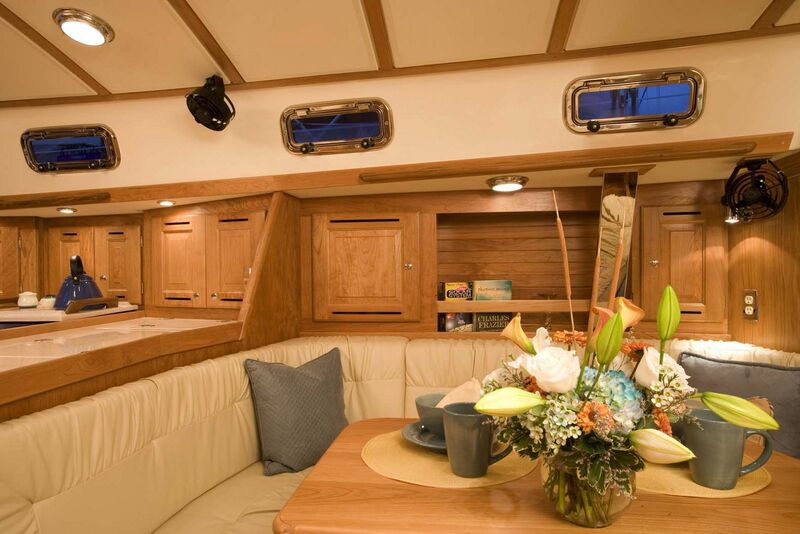 After a long day in the sun sailing, it's important to have the interior accommodations to relax and recharge for tomorrow's excursion. 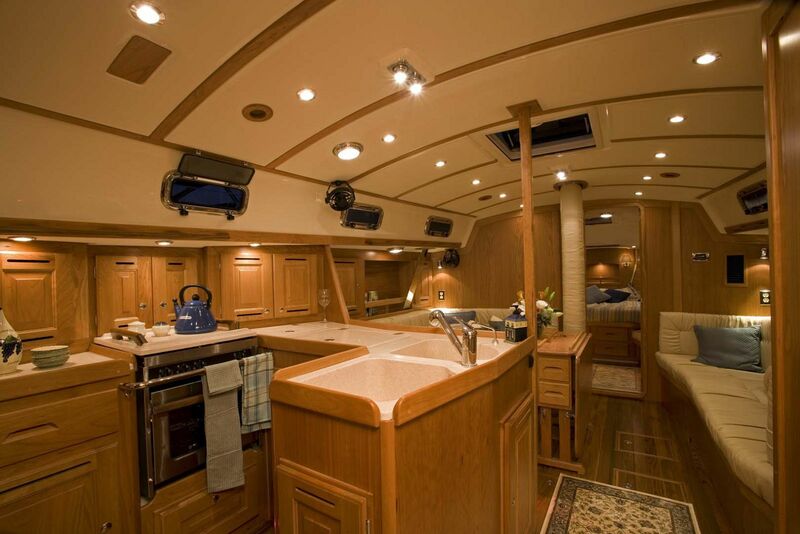 The Tartan 4300 gives owners a choice of either a 2-cabin or 3-cabin layout depending on how many guests you typically sail with. 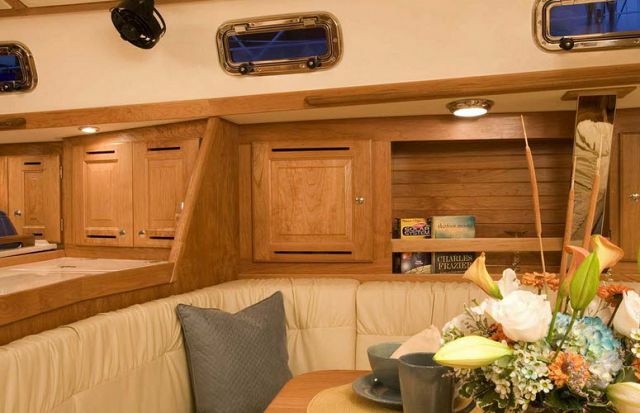 The bulkheads are angled which add to the visual aspects of the interior while also providing for extra space to maximize the room. 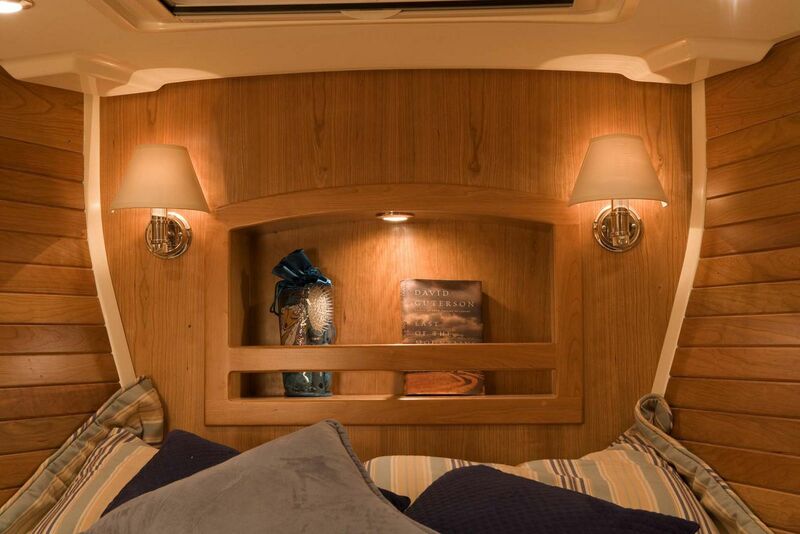 The owner's suite features a queen-sized double island berth for easy access to storage on the sides of the bed. 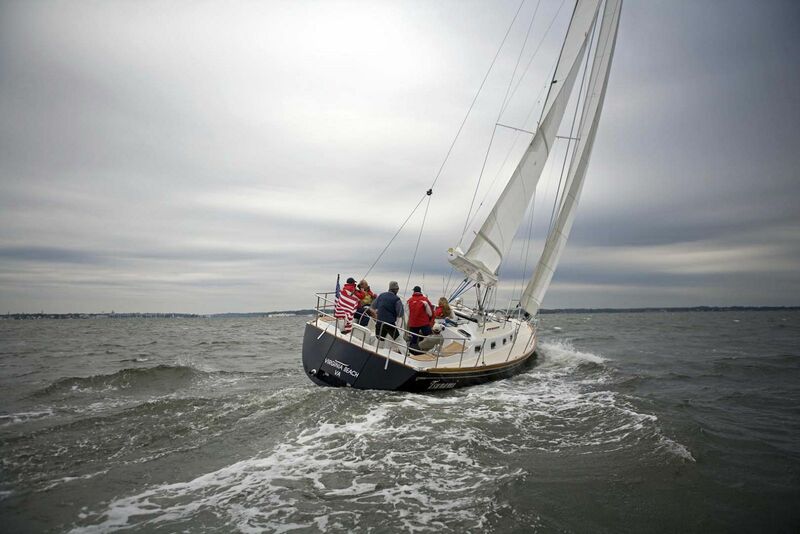 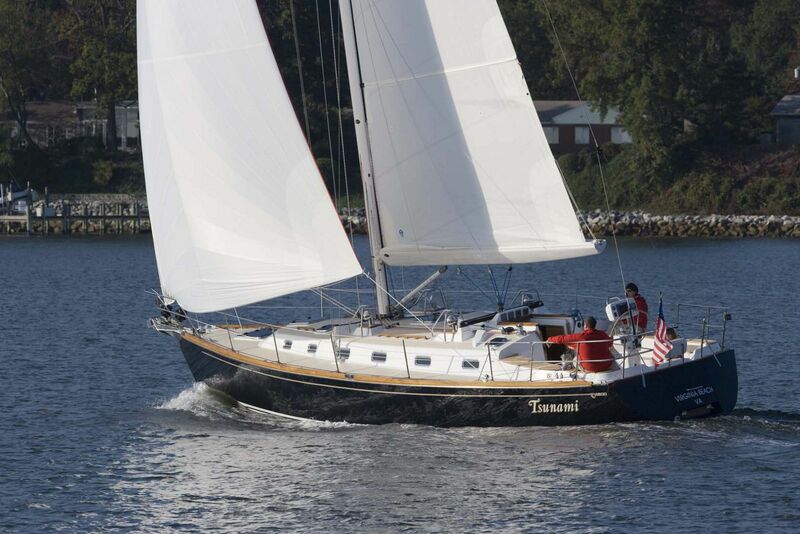 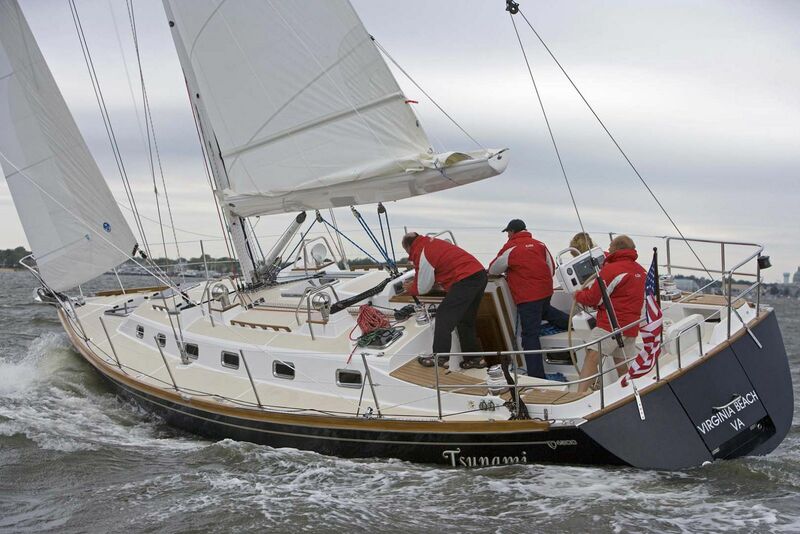 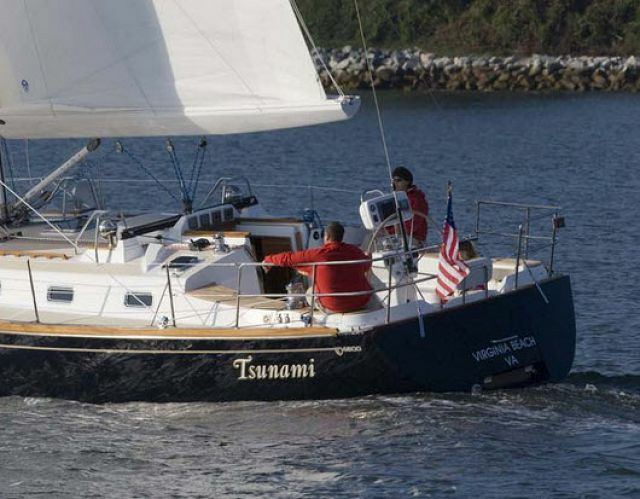 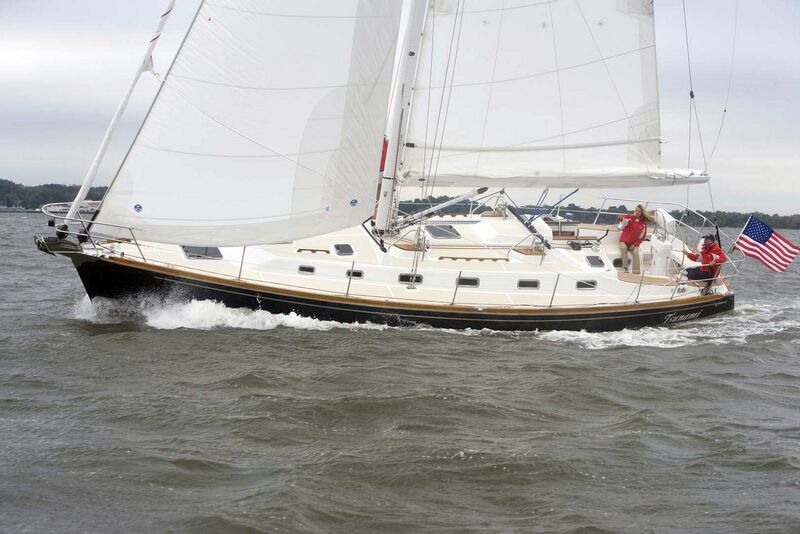 To learn more about the Tartan Yachts 4300 Sailboat, contact your Seattle Yachts Sales Professional today. 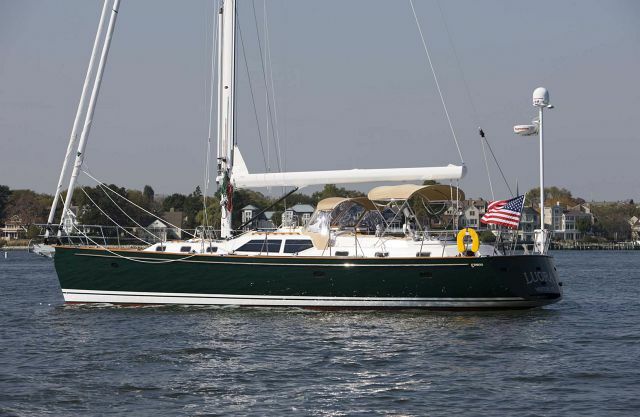 Fuel Tank Capacity: 60 Gal. 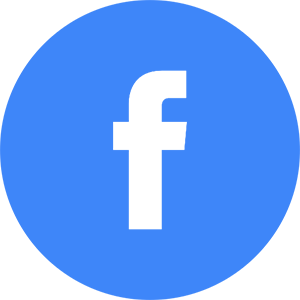 Water Tank Capacity: 120 Gal.